Save the weight for the scales. Tigress has set a new industry standard with the release of the lightest telescoping outriggers on the market, the new XD 3K Carbon Fiber Telescoping Outrigger Poles. 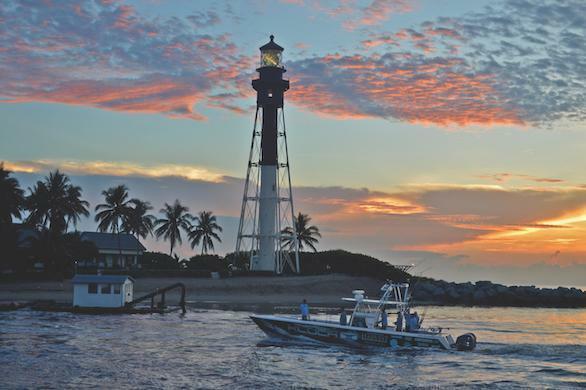 Not since 1915, when Captain Tommy Gifford first used bamboo outriggers to entice billfish off the back of his boat, has there been a lighter outrigger. The new Tigress XD 3K Carbon Fiber Telescoping Outrigger Poles are here to change the trolling game. 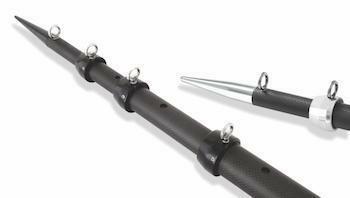 With convenience built in, the Tigress Carbon Fiber Telescopic Outrigger Poles are unmatched in construction. A patented Tigress track internal tracking system provides the ease of use Tigress Outriggers customers have come to know and demand with their products while being able to maintain a standard of quality and excellence. The poles retract to less than 6 feet for trailering, bridge clearance and storage. The new carbon fiber outrigger poles are so light they can be carried in the included handy, heavy-duty mesh storage bag. With two color options, stainless steel polished eyelets, redesigned rings and tips, and a 3K carbon fiber woven finish, Tigress' XD 3K Carbon Fiber Outrigger Poles are a welcome addition to any under-40-foot sport fisher - the likes of which no Mahi, tuna, or mate has ever seen.